Florence & Gilbert Nelson came of age in the Dirty Thirties, in the intellectual atmosphere of New York, steeped in Marxism and Freud, oriented towards the culture of a distant Europe. 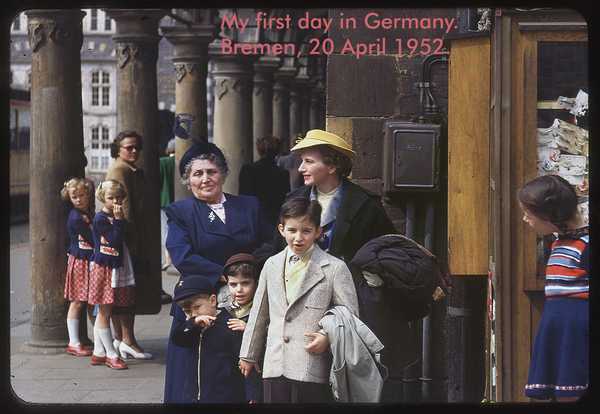 Europe got much closer when Gil became a Case Officer for the Central Intelligence Agency, and the couple took their family to Germany in the 1950s and to Rome in the 1960s. Gil was sent next to Viet-Nam, where his work received recognition and still reflected his values as a social activist from the Great Depression. But wives and dependents had to live in Hong Kong. They came home to the Washington DC area in the 1970s, and Florence plunged into art in the 1980s. First she studied to become a docent for the Hirshhorn Museum and Sculpture Garden. 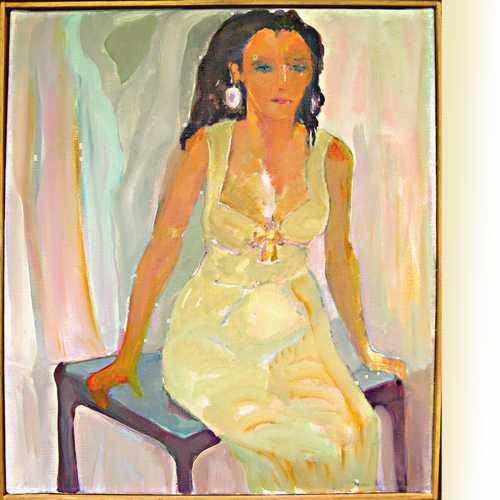 As the 1990s approached, she enrolled in drawing and painting classes herself. Her teachers were Mrs. P. McGrath and Lucille Sanders. Florence herself became kibitzer and critic to Irene Awret. She lived in a home filled with art works by her father-in-law Harry Nelson, her son David Charles Nelson, her daughter Lydia Miriam Nelson, her daughter-in-law Robin Hannay Nelson, and friends old and new: Jackie Freedman, Irene Awret (artist & author), her sculptor and print-maker husband Azriel Awret, printmaker Isabel Field, artist Tony Lucchesi, sculptor Joe Bolinsky, pen-and-ink master Mori Shizume. Art came out of the basement, art came out of the attic, art came out of the crawlspace -- some of it damaged, some of it good, and some of it here. I myself married an artist, and now I have a son who paints too. Our walls are full, the closets are stuffed. Please persuade yourself to acquire one of Florence's works by making a small donation to the synagogue where she worshiped. You can send us your check made out to "Temple Micah". The Temple has special funds to which contributions may be dedicated--even a small contribution will be appreciated and a dedicated gift does not get lost. Shipping costs if any will be from the Washington DC metro area.